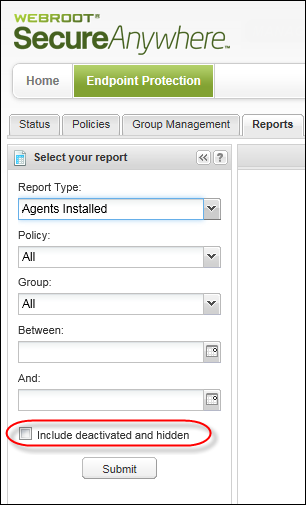 To see a chart of SecureAnywhere installations, generate the Agents Installed report. An agent is the SecureAnywhere software running on the endpoint. 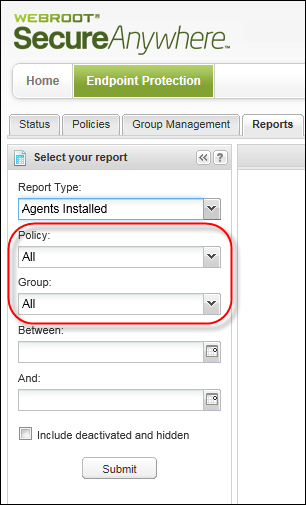 View all SecureAnywhere installations within a selected policy or group, which is helpful if you need to narrow search results to a specific set of endpoints. Drill down to see the endpoints with SecureAnywhere installed on the same date, which is helpful if you need to narrow the results to a time period and need to assign policies to a set of endpoints installed on a specific date. From the Report Type drop-down menu, select Agents Installed. 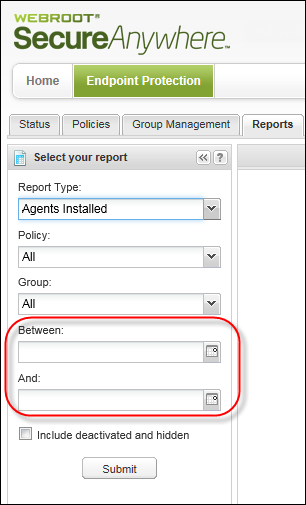 The report displays in the right pane. 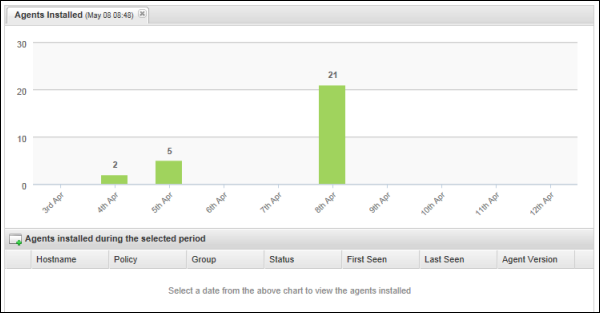 To view the endpoints where SecureAnywhere was installed on a specific date, click a bar to see details. The bottom panel displays data about each endpoint. For more information about the descriptions of the data in the columns, see Sorting Data in Tables and Reports.